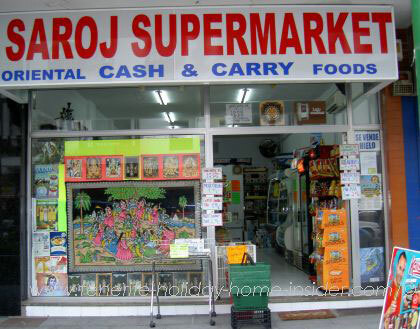 Saroj Supermarket shops in Tenerife even have Vegan and Ayurvedic products. Indeed, the family business Saroj Supermarket that serves more than the Indian community has a most helpful local, Oriental and Indian food selection besides other Asian products. Libanese and African foods are part of the range. It used to be at Puerto de la Cruz, as well as at Santa Cruz. I found it closed at the beginning of November 2017. Important Announcement by Saroj Supermarket. We have closed down our physical store of Puerto de la Cruz. We still have our distribution and food products supply services and you can keep in contact with us in the virtual channels like Facebook Messenger, email and the whatsapp texting system 628806524/666773959. You can book your orders and even have them delivered to your place!!! Fresh Curry leaves, as sold by Saroj in its previous shop at Calle Valois Puerto de la Cruz Tenerife. Needless to say is that Saroj business Cash and Carry S.L. will get any Indian condiments for you. 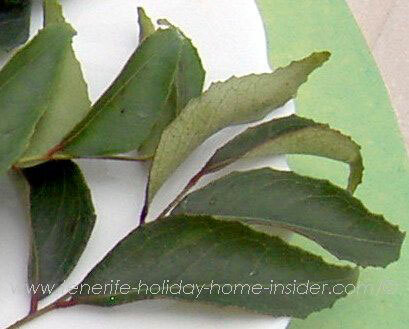 Those include the famous Indian health products, such as cosmetics or remedies by Ayurveda. Or even special ones from the Himalaya. My friend Angi once served several home made Thai dishes on her birthday. She used Saroje's Indian convenience soup for extra seasoning of her Asian vegetable meat stew. The result of that improvised cooking was delicious. Indeed, mixing and matching oriental condiments with the European cuisine can produce culinary magic. Prakash Saroj the owner advised us that he now has some Vegan foods and many deep frozen Vegetarian dishes, such as Vegetarian Hamburgers, Nuggests, sausages and even Barbecue dishes. Most copy chicken flavor. But there is also Vegetarian bacon. Angy says that it's so hard to get hold of Vegan food in Tenerife shops. 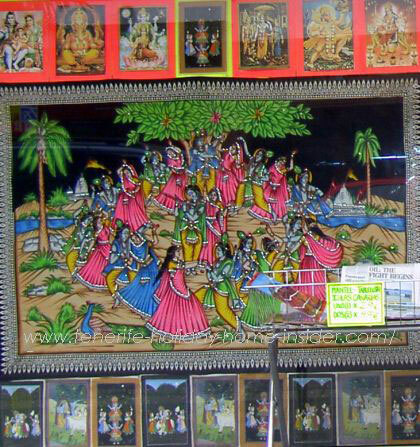 Also encounter Yoga Yantras Indian charms of the printed variety at the Saroj supermarkets. Indian charms are very popular in Hindu culture in the Tenerife Indian community. A huge selection was displayed in the shop front window of the Saroj Puerto Cruz branch, a while ago. By the way, I am sure that its manager can tell you who sells best Indian pendants in Tenerife which also play a big role as Indian charms. Of course, Saroj also serves other Asian condiments of Oriental food, such as the popular and cheap 'Thin Soy Sauce' by the brand Healthy Boy. From Saroj supermarket back to shopping in Tenerife.